The home office: The most cluttered and disorganized room in your house may tempt you to just close the door when showing around potential home buyers. You had the best of intentions when you converted that extra building into your office, but it rarely stayed clean and it was subjected to your ideas of organized chaos. But walk-throughs of your for-sale home are not going to avoid the office space just because it’s messy, they are going to view it anyway, and therefore it is up to you to stage it to best sell your house. Keep the furniture simple and ergonomically designed. Your desk, chair, computer, and keyboard should be positioned to look comfortable, but also functional. Keep the surfaces clutter-free by using organizers and proper storage systems. The craziness may work for your own time, but for your potential buyers it just looks messy and detracts from the overall quality of the room. Simple furniture and clear counters also highlight the size of the room, making a big room look even larger and a small room look spacious. Home buyers always look for sources of natural light, so enhance any windows with decorative window treatments. If the office doesn’t have any windows, install a source of overhead light or you can even install a window using a service from window and door replacement denver to help with this. Add one or two other light sources such as floor lamps and a desk lamp near the computer. Stores carry a variety of fixture styles, so make sure that the light fixtures tie in with the style of your furniture. Filling empty wall space with family photos or artwork will add a personal touch to the office. But as with any wall décor, there is a balance. Arrange one or two pictures in a frame on the desk and then add a few to a long wall to break up any emptiness. Beware of overloading your side surfaces; a wall can become just as cluttered as a desk. With a coordinating theme and style of decorating used consistently through the room, the home office can be a highlight of a house showing. But neglecting to put the same effort into the office as you put into the rest of the house can be detrimental to your possible offers. Take the following quiz from Bernhardt Furniture to see if you prefer traditional, country, eclectic, or contemporary furnishings. Do not be surprised if your answers include more than one style. Which colors do you prefer for the living room or bedroom? 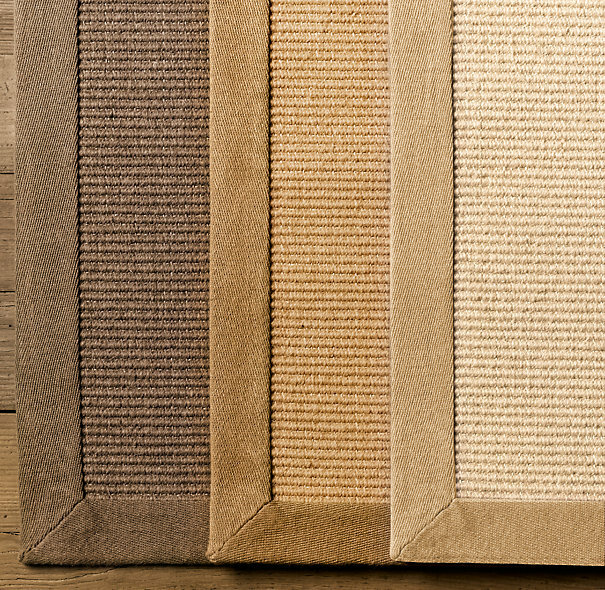 What type of rug or carpeting do you prefer? What would you most like in your dining room? Traditional style combines period furniture , sumptuous fabrics, and rich colors that reflect good taste. Heirlooms, art and antiques, the hallmarks of traditional style, breathe luxury that defies trends and time. Traditional furniture includes such classic 18th- and 19th- century styles as Queen Anne, Chippendale and Victorian. Country style- American, English or French- is warm, charming and unpretentious. Stripped pine, painted chests, stenciling, needlepoint pillows, and old quilts with soft, muted hues define this relaxed style. Deep, comfortable sofas in natural fabrics or flowery chintz and linen beautifully updated country decors. Eclectic (Which literally means “Borrowing from many sources”) style integrates old and new, mixed prints, and florals, different, different types of wood finishes and also different materials, like iron and stone. This mixture of textures, colors and patterns creates a vibrant layered look with plenty of warmth, interest and personality. Contemporary style is sleek, stark and spacious, favoring simple uncluttered designs with clean lined and minimal detailing or trim on furniture. Some people add a touch of traditional design with deeply cushioned sofas and chairs in an otherwise spare room. The emphasis: A new vision of luxury based on high-quality materials and exceptional craftsmanship. Colors—both for paint and furnishings—trend in and out almost yearly (helped along by companies such as Pantone and Sherwin-Williams (who release a “Color of the Year” that designers are recommended to incorporate). 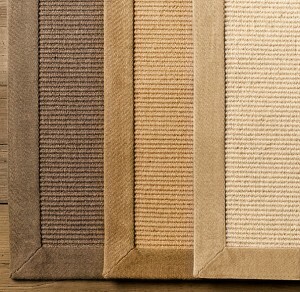 Because the trends are constantly shifting, it is tempting to revert to neutrals, yet even neutrals go through phases. For some time it was browns and tans and now it appears to be grays and charcoals. Working with colors can sometimes feel like walking along a color wheel studded with land mines. Here are the five most common mistakes that designers make when they work with color. Recognize when you or your client is making one of them, and soon feel more confident and less hesitant when working with the plethora of amazing colors at your design disposal. #1: You didn’t test the color in the actual room. Working with color necessitates testing; lighting alone can make a color you and your client loved suddenly turn into a color that makes you and your client want to scrape off the walls faster than you painted it on. And then there are the furnishings and fabrics that will be used in the room as well. Testing in an empty room is not going to be effective when the couch clashes with the walls. Thorough testing with both the correct lighting and the correct décor will prevent the color from being an eyesore rather than a pleasant element. #2: You were overzealous with the chosen color. It is easy to be swept up in a whirl of trendiness and unintentionally over-incorporate a color. Sometimes an accent wall—no matter how fashionable or creative it feels—is just not appropriate. A colorful backsplash in the kitchen is not the right design 99% of the time. Too much mixing of old and new design trends will end up chaotic and rarely attractive. Learn to recognize when simplicity is king, and find other less permanent ways to use the Color of the Season than painting the entire wall. #3: You don’t stand firm with your color recommendation. You hear the dreaded “I hate that color” comment from a client, but you don’t take the time to explain to him or her that the color they do like will clash. You are the color expert, hired because you have the knowledge and the eye for what will and will not work in a space. If your client wants to paint the walls of the living room a cool blue gray, but the granite fireplace has warm yellow and pink undertones, the blue gray will stand out in an unflattering way. Comparing his or her choice to your recommended warmer gray (and explaining your reasons behind the recommendation) is entirely within your rights as a designer, and will prevent an inevitable repaint when the colors don’t relate to one another. #4: You didn’t pay attention to the most important elements. No two rooms are alike, and therefore every design color problem has a custom color solution. But there are some general principles regarding which elements require your attention the most. You need to work with the fixtures in the room that are not going to be altered whether it be the carpet or the furniture or something else entirely. Trying to incorporate browns into a room with no other brown elements is not going to work unless you are completely redoing the space. The brown throw pillows that match the chosen paint are not going to blend with the furniture still in 1980s color scheme. You cannot replace only two chairs of an eight-piece dining room set. Recognize what elements you need to be conscious of when making your design’s color decisions. #5: You were too timid with the exterior’s color. As previously said, neutrals go through trends just as frequently as non-neutral colors do. Therefore replacing that out of date brown with a currently in vogue charcoal is just going to continue the outdated cycle in a few years. So don’t be afraid to choose an actual color for your exterior designs. Your choice will be more likely to outlast the typical 10-year trend, particularly important as the paint itself will be outlasting that decade. Using color can be worrisome, but it is also one of the best ways to incorporate uniqueness and style. Just use your expertise to avoid these five color mistakes and work with color without fear. Just like fashion, health claims, and the economy, colors follow trends. Each year brings new attention to a portion of the color wheel, and it is important to stay abreast of these trends as an interior designer. After all, being trendy is highly valued by consumers and entire rooms are redecorated to reflect what is “in” versus what is rapidly becoming “out.” A major challenge in design is predicting the trends and recognizing what may become a classic and timeless design, and what will be dated before it is even finished being implemented in a design. So what are the colors of 2013 and why were they chosen? Each color evokes its own mood, energy, feeling, and overall vibe intended to be played out throughout the year. They are a prediction of sorts, but whether the predictions are accurate has very little bearing on their popularity in the design world. Pantone is considered the leading color trend creator in all color-based industries: design, fashion, makeup, etc. 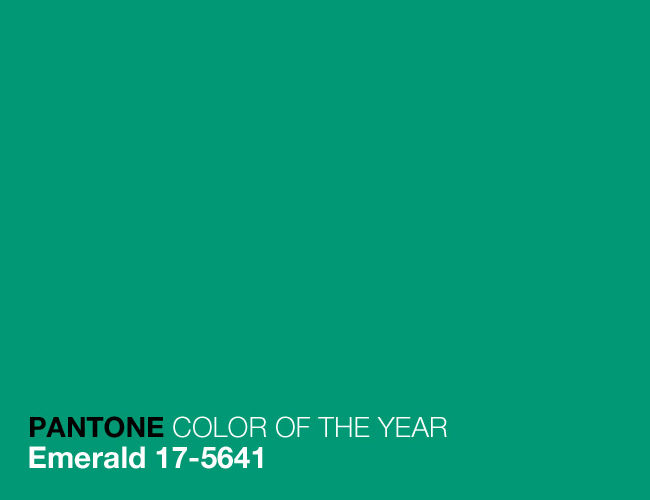 For 2013 the Color of the Year is Emerald. Intended to represent liveliness, radiance, and lushness, Emerald brings elegance and a sense of luxury to a room. As for the intended feelings associated with Emerald? A sense of well being, harmony, and balance will supposedly follow utilizing this jeweled green. 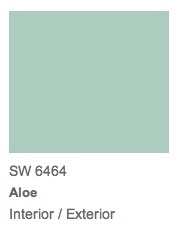 Also a green—though a less vibrant shade—this Color of the Year softens the mood to simplistic prettiness. More mid-century modest rather than modern flashy, Aloe is intended to mimic its plant inspiration by soothing and calming a room’s energy. It also nicely complements neutrals and pastels, making it a versatile choice in the design scheme. 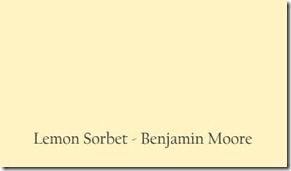 Lemon Sorbet’s selling point as a Color of the Year is its role as a “transitional” color. Benjamin Moore has predicted that 2014 will be the year of the pastels, and as such Lemon Sorbet is a perfect bridge from the current saturated color tones. The color brightens an atmosphere without overloading the senses, akin to tea’s mild compared to coffee’s powerful dose of caffeine. Color trends are fun to incorporate and really make a space feel trendy and fashionable. Even so, when designing a room, it is important to keep in mind that trends fade and the colors of today will be replaced a year from now. Thus it is a good tactic to use Colors of the Year primarily as accent pieces such as lamps, clocks, throw pillows, and such or as part of a more overall color scheme (for example Aloe lends itself well to pastel yellows, blues, and browns that can characterize a child’s room or nursery). Knowing the color trends is exciting and inspiring, and integrating them into your designs will keep your work fresh and your clients happy. Read also: How Top Master Locksmith Excels In A Home Security Niche.